Jared Fisher, a Las Vegas businessman running for Nevada governor, twisted his knee Friday while running around on his many errands. So, when he was on his Specialized Fuse mountain bike Saturday getting ready for his 14-day, 1,400-mile "Listening Tour" ride to launch his campaign, his knee was a little balky while riding in the high desert outside his house in Blue Diamond. "I was riding around here warming up to check for problems with my bike," said Fisher 47, who owns the 10,000-square-foot Las Vegas Cyclery bike shop. My knee was starting to be in pain and that's not a good sign when you're getting ready for a big bike trip." 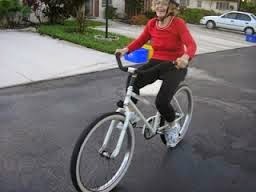 But of you know Jared, a bum knee won't stop him from pedaling off from his Blue Diamond house at 2 a.m. Monday to bike around the state of Nevada to hear what people have to stay. 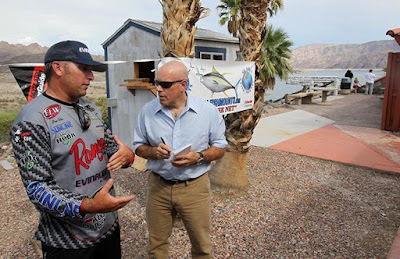 Jared will be ready to document residents from Pioche and Ely to Reno to Beatty and everywhere in between in Nevada. He'll be wearing the world's biggest backpack while pedaling and carrying a tent, sleeping bag, back pad, his business supplies and drone all in that "grand monster backpack," as he calls it. "I have a lot of stuff in that backpark," Jared said as he stopped for gas on the way to work Saturday morning. He'll also be bringing two GoPro cameras, the drone and a regular camera, with the drone serving as the energy source for the bevy of batteries he will bring. He's been already chatting with local residents in Las Vegas about his run for governor and noted that a lot of people are tired of the extremists on both the left and right drawing all the attention. "I'm finding out that most people I talk with are not hard left or hard right," Jared said. "We don't have to hate each other,: he said. In real life, most people are good and down-to-earth and they just want to be heard. The voice of the people are not being heard and the extreme party left and right are calling all the shots for the rest of the people in America and what I'm hearing is their voices are not being heard." 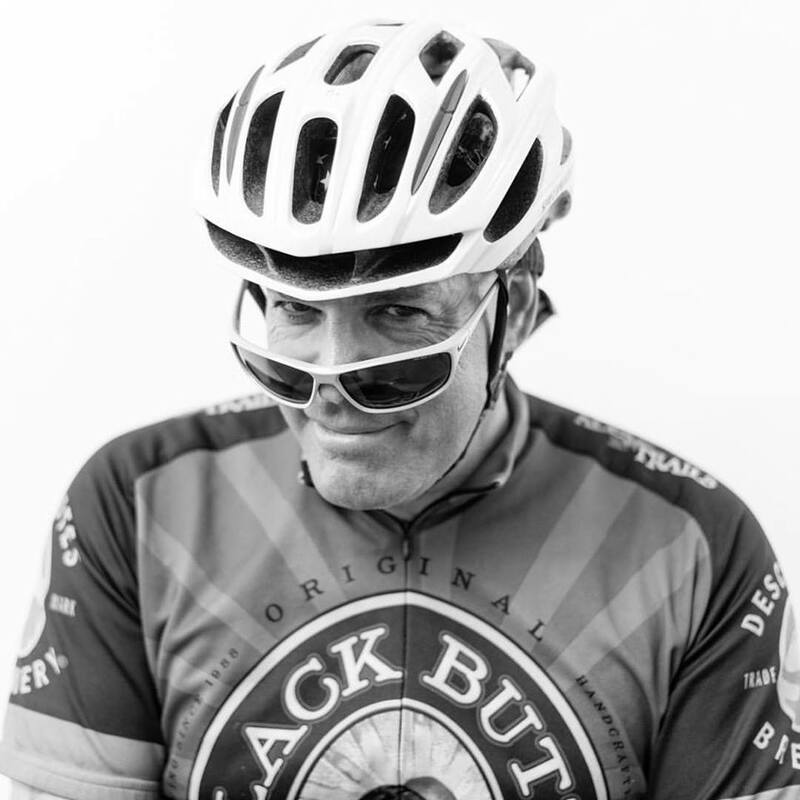 To follow Jared's epic bike ride, click here for the first 500 miles. The first thing people do about political candidates is apply a label. 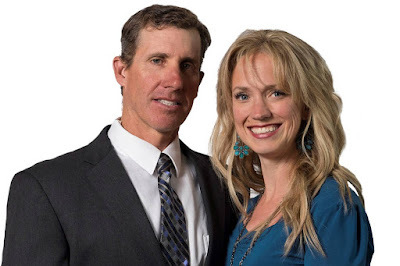 But Jared Fisher, running for Nevada governor, defies political categories. Fisher's announcement that he's seeking the state's top executive office this week grabbed headlines in the Las Vegas Review-Journal. and you will quickly see that Fisher is no political idealogue. This will be an unconventional campaign, where Jared will first reach out to and connect with residents from across the state via a 14-day bicycle ride dubbed, "The Listening Tour," starting from his Blue Diamond home outside Las Vegas May 1. He's biking to Elko and Reno before returning to the Las Vegas area around May 14. Talk to Jared and you will think he's a Democrat because he embraces typical Democratic ideals such as preserving and protecting the environment and exploring new frontiers in renewable energy and solar power. But Jared considers himself a Teddy Roosevelt Republican -- and the married dad of four and bicycle shop/bike touring business owner has been a registered Republican for years. The rolling businessman and UNLV grad looks at himself as a moderate who admires the leadership of another moderate Republican -- the current governor of Nevada, Brian Sandoval. Jared will be breaking new ground, forging ahead with ideals you can read on his website at www.fisher4nevada.com. This will serve Jared well -- so get ready for a new era of politics. More and more people are considering themselves independents and a vault full of money does not guarantee a political victory. And get ready for Jared Fisher, who might be pedaling into a town near you to say hi and hear what's on your mind. One thing is for sure about Jared Fisher and his run for governor of the great state of Nevada. It's not going to be a conventional campaign. Jared is no mud-slinger and expect Jared to talk about solar power and renewable energy and attracting innovators to diversify Nevada's economy. And Jared rides a bicycle to a different tune, too. Jared is kicking off his campaign for governor May 1 with an epic bike ride around the state of Nevada. It's called, "The Listening Tour," and it will allow Jared to meet state residents in real-life settings -- at a market, on the street, at a convenience store. These days, campaigning is all about slick TV ads and media buys. But in the past, two great political campaigns are reminiscent of Jared's 1,400-mile, 14-day bike ride that will take him from Las Vegas to Elko to Reno and back to Las Vegas on May 14. In 1970 in Florida, a two-term state senator by the name of Lawton Chiles created a buzz around his run for U.S. Senate when he literally hit the road for 91 days and walked from Pensacola to Key West to cover 1,003 miles. Chiles earned the nickname, Walkin' Lawton" for using the long walk to make a statewide name for himself. Chiles went on to win the U.S. Senate seat after the walk gave him the attention he needed to become a contender and he later served as Florida's governor in 1990 and again in 1994 when he beat a challenger by the name of Jeb Bush. He died in December 1998. Road signs showing Chiles' leather boots can be seen along the route of his long walk along roads such as U.S. 19 on Florida's West Coast and along U.S. 1 in the Keys. Then, there's the big sneakers of former Denver Mayor Wellington Webb, who waged the "Sneaker Campaign" during his upset race in 1991 when he won the first of three terms and beat heavy favorite Norm Early in his first mayoral race. Webb, a former college basketball player, wore his sneakers and walked the neighborhoods of Denver to overcome an early 28-point poll deficit to Early. I covered Webb when I reported on Denver City Hall in the 1990s and recall he continued wearing those sneakers. Both Chiles and Webb -- two vastly different men with varying backgrounds -- used the most rudimentary form of transportation to make the connections with local residents that helped propel them to big political wins. When Jared leaves from his Blue Diamond house Monday morning on his mountain bike, I expect the first turns of the pedal will take him on an amazing ride that will lead one day to the governor's office in Carson City in 2018. I'll be returning to Las Vegas in May to start work on two very different but satisfying projects. First, I'll be working on Jared Fisher's campaign for governor because Jared and his wife, Heather, are committed to improving and spotlighting Nevada's education, economy and environment. Jared is a Nevada original, launching his successful Escape Adventures bike tour business with Heather 25 years ago. He also opened what I consider is America's most environmentally green bicycle store in Summerlin in Las Vegas in 2012, In fact, here's Jared's bike shop in Dec, 2012. To offer you a glimpse into Jared's run for governor, see his video. Jared will be connecting with Nevada's people on a bike ride around the state called, "The Listening Tour," starting Sunday May 1 from his home in Blue Diamond outside Las Vegas. I'm still recovering from a distracted driver who smashed his car into me from behind in the Fort Pierce area March 7. So, I won't be biking with Jared at the start. But I hope my progress is far enough so that I can join Jared toward the end of his bike ride around Nevada when he gets closer to the Las Vegas and southern Nevada. Jared is unique and conventional politics are changing. He's no idealogue and the only mud slinging you will see with Jared is the mud that flies from under his mountain bike tires. You probably already know Jared's wife, Heather, because she is the public face of the Save Red Rock movement that is opposing a developer's plan to build thousands of homes in Red Rock Canyon. Jared will stress growing Nevada's economy by attracting entrepreneurs, highlighting the state's amazing environmental natural resources and stressing education as a key driver to the state's health and growth. I know Jared and I'm on board to lend my writing, PR and riding skills to get Jared and Heather to Carson City next year. Here's Jared and I biking in Red Rock Canyon. Second, I'll be tapping my sports-business reporting background to launch a new Las Vegas-based website that will cover the growing and dynamic sports-business scene and be called, LVSportsBiz.com. This is a dynamic period in Las Vegas, with a $2 billion domed football stadium being built for the Oakland Raiders, an NFL team moving to Las Vegas from Califiornia. A new NHL team, the Vegas Golden Knights, is starting its inaugural season later this year at an arena on the Strip that I reported about for several years. My website will be the authoritative source for sports-business news in Las Vegas and I hope to launch LVSportsBiz.com after I return to Las Vegas in May. I have covered the business side of sports and stadiums for the South Florida (Fort Lauderdale) Sun-Sentinel, Tampa Tribune and Las Vegas Review-Journal and launched a sports-business website called FoxSportsBiz for FoxSports.com in 2000. I also covered stadium issues while covering city hall beats in Denver and Seattle. From 2012-16, I covered the sports-biz beat for the RJ, cultivating a comprehensive source network with Las Vegas Events, UFC, the Speedway, AEG, MGM Resorts International, NFR and I was the first reporter to profile Golden Knights owner Bill Foley. I also reported on the Raiders stadium subsidy deal. I am tying up loose ends in Vero Beach, Fla and hope to return to Las Vegas in early to mid May. 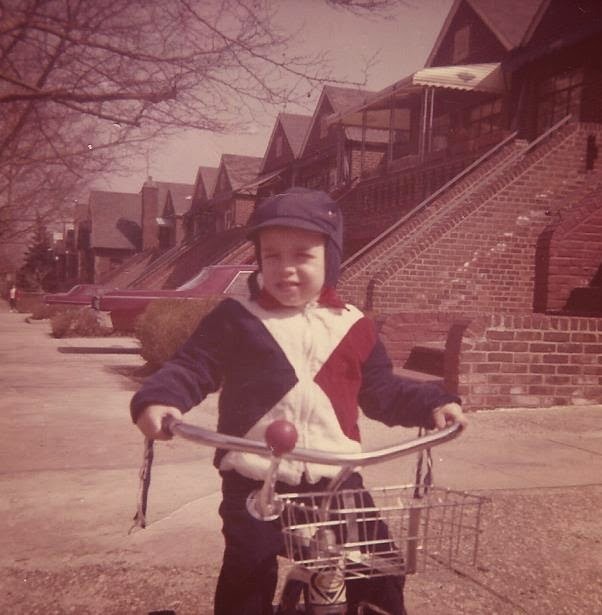 Chip Haynes is a pure bicyclist and writes all about pedaling two-wheelers when he's not tinkering with all types of bicycles. You won't catch Spandex Lycra on Chip -- just shirts and pants and regular clothing for the upbeat Clearwater resident with the chipper sense of humor. His enjoys penning books about bicycling and submitted a letter-to-the-editor to The Tampa Bay Times, after reporter Sharon Wynne wrote about how a motorist drove his car into me March 7 in St. Lucie County. "Safety requires a change of attitude, and until Florida quits accepting the injuries and deaths of pedestrians and cyclists as collateral damage in a culture focused on cars, don't expect much to change." While bicyclists and pedestrians have long been fighting a losing battle in Florida, with the loss of Alan Snel (“Failure to protect cyclists, pedestrians”, TBT 4/8/17), we may have just lost the war. That the driver was not ticketed for hitting Mr. Snel from behind tells you all you need to know about the official government view of bicycles in Florida: We are in the way. An annoyance in traffic. Something to drive around. Or over. We. Don’t. Count. What has to change? Everything: The government’s stance on the rights of cyclists and pedestrians at every level, from local law enforcement to the engineers that plan our car-centric public roads to the State Legislature’s failure to pass strong laws protecting the weak. And when might that happen? Don’t hold your breath. Too few in government at every level bother to walk or ride bikes themselves, and without this being a personal priority, as it is with both Alan and myself, I honestly don’t expect to see any change at all. Alan Snel will move out west, I will stay right here, and bicycles will still be bumper candy. 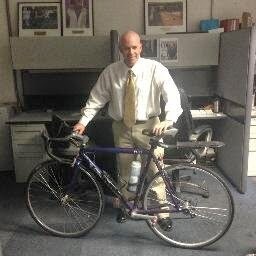 How Many Bicyclists Have To Die And Be Injured In Florida? It's happened again in Florida. A motorist has killed a bicyclist. This time, the victim was a former state legislator, Kissimmee city mayor and Osceola County Commission chairman. His name was Frank Attkisson and he was 61 years old. It happened yesterday around 7 p.m. in the St. Cloud area in central Florida. A motorist slammed her car into him from behind as he rode his bicycle. And predictably enough, the anti-bicyclist crowd will trot out their same point of view without even knowing the exact circumstances. That bicyclists break traffic laws. That bicyclists hog the roads. That bicyclists do whatever they want out there. It happened with me -- those comments -- after an admitted distracted, inattentive and careless driver rammed his 2016 Chevy Cruze into me as I bicycled on Old Dixie Highway in St. Lucie County on March 7. The motorist did not receive a ticket. I received two fractured vertebrae, a concussion and a knee that bloats with blood from so many leg muscle bruises. 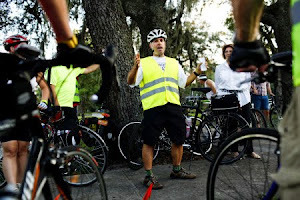 Florida has by far and away more bicyclist deaths than any other state in the country. Not just per-capita deaths -- but the highest raw number of bicyclist deaths. And I ask a simple question: how many bicyclists have to die and be injured in Florida before our state Legislature enacts harsh penalties for killer motorists? The Tampa Bay Times wrote an editorial about this very topic. Whenever I biked across the lagoon-spanning Wabasso Bridge north of Vero Beach, I always was amazed at two things -- how beautiful the Indian River looked below and how low the bridge’s concrete barrier stood. I thought that if a motorist hit a bicyclist crossing the bridge, the cyclist would be pitched into the Intracoastal lagoon below and likely drown. And I asked myself, how did the Florida Department of Transportation get away with building that bridge with such a low barrier? Well, I was not the only one who feared that the bridge’s low barrier and lack of span space imperiled the safety of bicyclists. Hugh Aaron, founder and executive director of the non-profit Bike Walk Indian River County group (Disclosure: I am a member of the group’s board), also saw the dangers on that bridge several years ago and his group prompted the Florida DOT to conduct a safety audit of the Wabasso Bridge. And here’s where things go sideways. The report, which included a variety of recommendations to deal with the safety concerns, has a January 2016 date on it. So, state transportation officials withheld the safety audit report on the Wabasso Bridge for 13 months from the public. After making several inquiries last year about whether the safety study was ready, Bike Walk Indian River County and Vero Cycling (the local bike club) received a copy of it only two months ago. Aaron did not mince words. 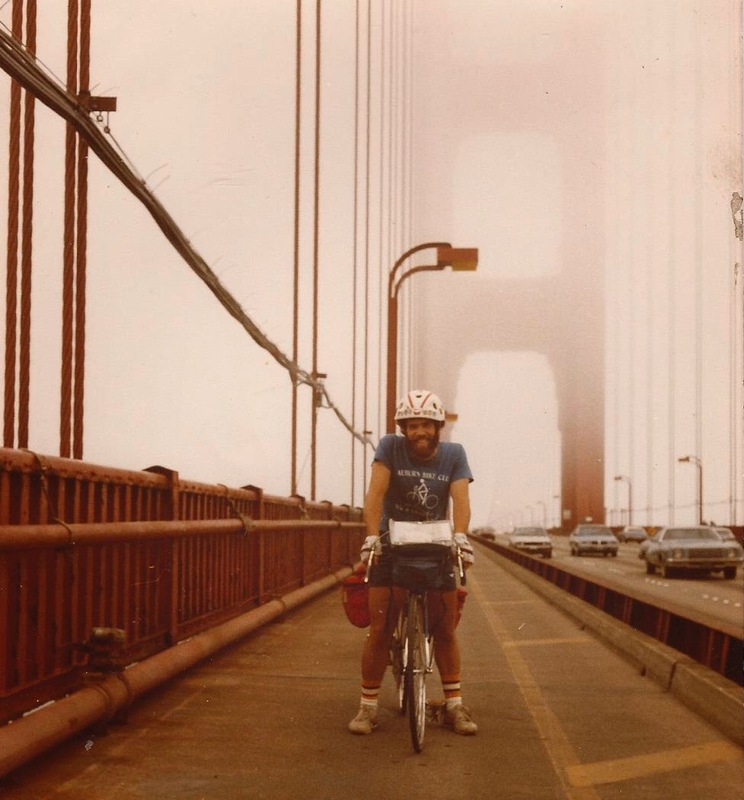 He told Bicycle Stories, “They have done absolutely nothing to make the bridge safer. Now they are saying they have to evaluate any safety improvements in the context of a district for wide study of every bridge in the district. There are something like 80 bridges in district 4. In a November 2016 email to Aaron and two Indian River County planning officials, Carmen B. Pullins, community traffic safety program manager for FDOT District 4, said the report was not ready. In August 2015, Aaron had prepared a paper for Vero Cycling that outlined its bridge safety concerns. It raised concerns about the low barrier wall on the bridge and the State Road 510’s shoulders, which are so narrow that they do not meet the Florida DOT standards for the width of a bike lane. State Road 510, or Wabasso Beach Road, uses the Wabasso Bridge to connect the mainland with the barrier island and is a popular road for bicyclists. Interestingly enough, the DOT audit suggested the agency install a fence outside of the current three-foot barrier wall to address the barrier’s low height. Unfortunately, that recommendation was in a consultant report provided to the public on Feb. 16 -- more than a year after the January 2016 date listed on the report itself. And the fence has never been installed. I reached out to FDOT District 4 officials for comments, but they have not responded.